Clarksville, TN – Austin Peay State University men’s golf team will open the 2018-19 campaign at the esteemed GolfWeek Program Championship at Pawley’s Island, South Carolina. Teeing off on the par-72, 6,926-yard True Blue Golf Resort course, the Govs will be paired with Delaware and Ohio Valley Conference foe Jacksonville State, beginning 6:30am (CT), Sunday. The 54-hole event features 18-hole rounds Sunday, Monday and Tuesday and will pit the Govs against Alabama State, Bradley, Campbell, Florida Gulf Coast, Gardner-Webb, Old Dominion, Presbyterian, South Dakota, Stephen F. Austin, Valparaiso and another league foe in Tennessee Tech. The Govs were scheduled to compete in this event last year before Hurricane Irma scuttled the proceedings and sent Austin Peay to debut at the MSU Fall Invitational instead. This will officially be the Govs fourth venture to the GolfWeek-hosted event, first in 2012 and again in head coach Robbie Wilson‘s fall season debut in 2015. Austin Peay’s lineup will be headed by junior Michael Busse. 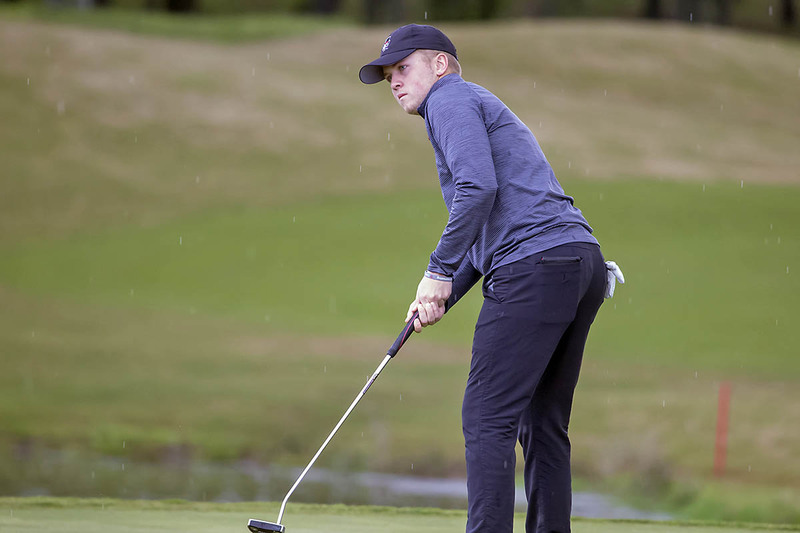 The Michigan native finished fourth at the Michigan Publinx Medal Play Championship in May as part of a busy summer on the course and saw his hard work pay off during qualifying. He closed his sophomore campaign strong at the 2018 OVC Men’s Golf Championships with three straight 74s and looks to build on that as he makes the turn in his career. Freshman Micah Knisley will make his collegiate debut against a stacked field; the Jefferson City native earned six medalist honors during 2017 alone and looks to make his mark early in one of college golf’s most prestigious events. After strong freshman campaigns, Garrett Whitfield and Chase Korte are now sophomores and slot in at No. 3 and No. 4, respectively. Korte, the 2017-18 OVC Men’s Golf Freshman of the Year, may have the inside track on the course; older brother Dustin placed 12th in this event at True Blue in 2012 and was the Govs interim head coach for the 2014 edition prior to Wilson’s arrival. Junior Alex Vegh will round out the lineup this week; the Ohio native’s 220 at last April’s OVC Championships were a team-best and gave him his first career top-10 finish (t-ninth) in the conference championships. Live scoring for this event will be provided courtesy of GolfStat.com. A complete recap will be available at the end of each round via LetsGoPeay.com and live updates can be found on Twitter (@AustinPeayMGO).